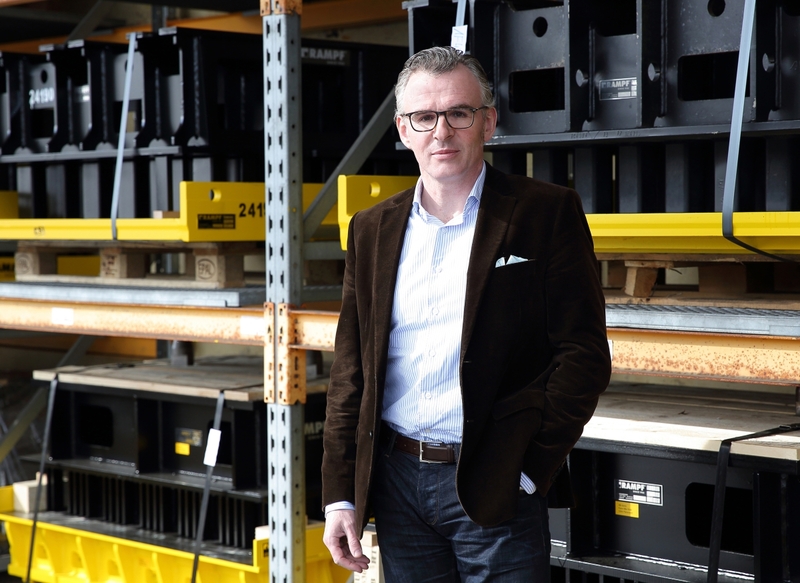 In an Interview with the BFT’s editorial team, Fabian Kohlbecker, the new CEO of Rampf Formen GmbH, explains the company’s strategic direction and draws a personal conclusion after the first six months. In addition, he ventures a look into the future. 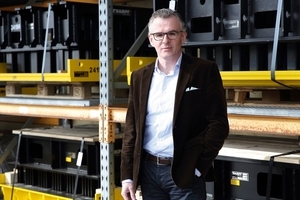 BFT International: Mr. Kohlbecker, congratulations on your appointment as CEO of Rampf Formen GmbH, the mold manufacturer based in Allmendingen, Baden-Württemberg. What are your personal conclusions after the first six months in your new position? Fabian Kohlbecker: Thank you very much. My first months with Rampf have been intense and exciting. Of course I knew that it wouldn’t be an easy task. There have been many disruptions due to the numerous changes in the management in recent years. As a result, many important issues were addressed but not really completed. That’s why I see a lot of potential for Rampf. It is my goal to bring continuity to the company and to focus on the strengths that have made Rampf successful in the past: state-of-the-art technologies combined with decades of experience in mold manufacturing. Our goal is to be the partner of our customers and therefore the best choice for molds. 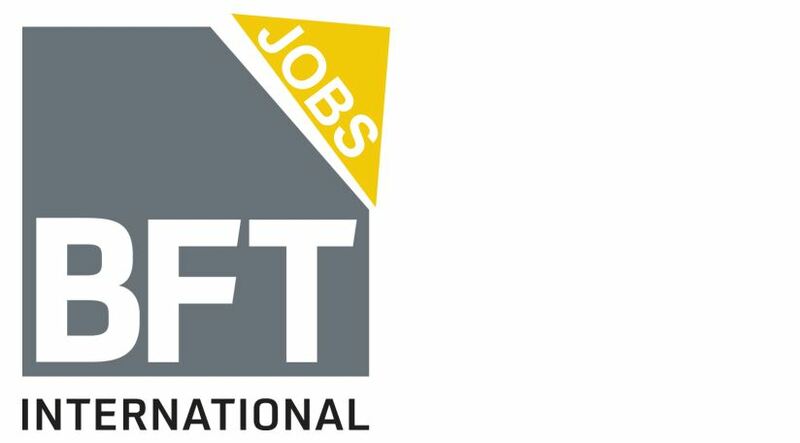 BFT International: You have worked as a successful manager and managing director in the international building supplies industry and you are therefore anything but a newcomer. To what extent will your experi-ence help you to build on these successes in your new position at Rampf? 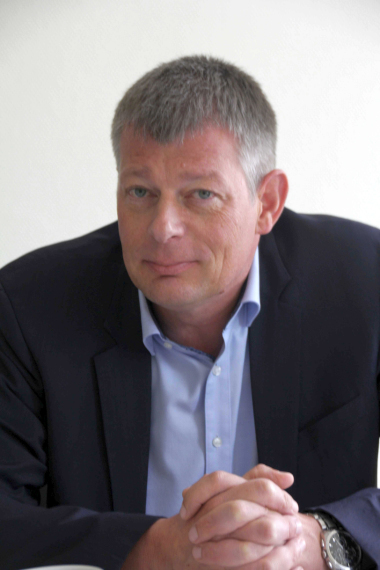 Fabian Kohlbecker: Since 2005, I have mainly been active internationally, having been entrusted with different as-signments in numerous countries around the world ranging from reorganization all the way to growth scenarios. That does help, of course. However, I also learned one thing: every industry, every market and therefore every customer is different. These differences need to be addressed with flexible, tailor-made solutions. It is my goal to bring in new ideas and to implement them together with my colleagues who have many years of experience at Rampf and in mold manufacturing. BFT International: Your company is active worldwide on the mold-manufacturing market, counting among the market leaders in steel molds, and operating subsidiaries in France, Poland, Hungary and the United States. Which other markets are of particular interest to Rampf? Fabian Kohlbecker: As you said: In principle, we are operating worldwide. Our subsidiaries are active across their respective national borders. However, I am not a fan of an ill-considered geographical expansion: growth is not an end in itself. We need to carefully evaluate which customers will appreciate our high-quality molds and where it will be reasonable for us to intensify our sales activities. BFT International: You offer customers a broad product portfolio: Whether the steel mold is to be milled, studded, manufactured in CSI Diamond design or hardened using the CSI Nitro process. 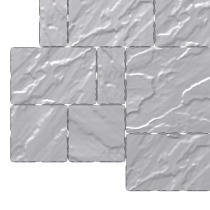 Whether the precast producer wants to offer a new paver design or the machine places special requirements, for example, on the hardening process. In your view, what is the company’s flag-ship product that you are particularly proud of? Fabian Kohlbecker: Compared to many of our competitors, we certainly have an advantage when it comes to special molds, since we are offering a wide variety of products in this segment. In the field of standard molds, we are actively driving the development in order to develop even more efficient molds for our customers. What our customers always reflect back to us is our superiority in technical special accessories, such as the Rampf tamper shoe heating and its control system, or our centering feature. It seems that we have a genuine competitive advantage in this regard. BFT International: Rampf has been in business since 1926 and claims to be the number 1 supplier delivering inspiration in mold manufacturing. What new products or items do you intend to be successful with in the future, that is, beyond the company’s 100-year anniversary? Fabian Kohlbecker: Rampf has set standards for the market over many decades. That is why, in my opinion, we may rightly call ourselves the number 1 supplier delivering inspiration in mold manufacturing. We want to work closely with our customers in order to understand their needs and develop the right products to meet them. We are currently also considering broadening our portfolio in order to offer even more com-plete solutions to our customers. I don’t want to reveal at this point, what it is exactly that we have in mind. But I am convinced that we will continue to be a reliable partner for our customers even beyond our 100-year anniversary: your stone – our mold! 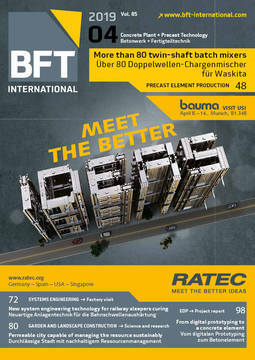 BFT International: Mr. Kohlbecker, thank you very much for your time!